Looking ahead, the research team expect the upcoming results season in May to see a sequential recovery in most planters’ earnings as improvements in CPO prices likely outweighed a seasonal drop in FFB output in 1QCY19. 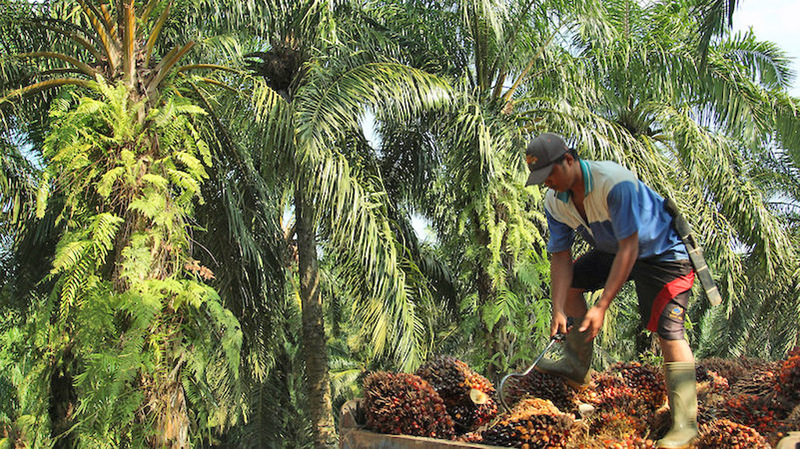 KUCHING: The European Union’s (EU) ban on palm oil will dampen near-term prospects of planters despite some positive factors developing domestically in the plantation sector. The research team at Kenanga Investment Bank Bhd (Kenanga Research) said while some positive factors are developing in the plantation sector, negative news flows have diffused negative sentiments and weighed on CPO prices, dampening near-term prospects of planters under its coverage. “In addition, stockpiles have not eased as quickly as we had hoped in the January to February 2019 period, no thanks to shorter working month during Chinese New Year,” it said in its sector report outlook yesterday. However, it pointed out that as the negative news flows subside in coming months, it believed crude palm oil (CPO) price will return to the recovery trajectory. “Over the next three months, key positive factors that we are monitoring closely are as follows easing stockpiles in both Malaysia and Indonesia, higher exports to China given its pledge to buy 50 per cent more palm oil from Malaysia, and further clarity on new biodiesel initiatives (B30 in Indonesia and B20 in Malaysia). “Nevertheless, we believe these positive factors have been largely priced in with the KLPLN index staging a handsome 11 per cent recovery from the low in December 2018,” it added. Currently, it noted that planters under its coverage are on average trading at minus one standard deviation (range: minus two to 0.5 SD) from their respective mean PER, which is consistent with the uncertain environment but lacks comfortable margin of error to turn positive on the sector at this juncture. “However, should the biodiesel initiatives and palm oil offtake from the Chinese pan out better than expected, we would relook our valuation basis with an upward bias. On the other hand, if the EU and the Philippines’ palm oil biodiesel ban escalates further, we are likely to downgrade our CPO price assumption,” Kenanga Research said. “This has also been verified by several planters under our coverage. Furthermore, from our observation of the movement of daily futures curves in the past two quarters, we believe the average CPO price realised by planters could have improved by five to six per cent or more in 1Q19,” it added. Despite expected improvements in CPO prices, Kenanga Research maintained its ‘neutral’ outlook on the plantation sector as it believed the positive developments have been largely priced in with the KLPLN index staging a handsome 11 per cent recovery from the low in December 2018. “However, should the biodiesel initiatives and palm oil offtake from the Chinese pan out better than expected, we would relook our valuation basis with an upward bias. On the other hand, if the EU and the Philippines’ palm oil biodiesel ban escalates further, we are likely to downgrade our CPO price assumption,” it added.